Nothing defines a club quite like its cult heroes. Occasionally, a player largely disregarded by the general public will do something so sublime, so ridiculous, that it captures the collective imagination of the terraces. In an instant, an otherwise mediocre player can cement their legacy as a genuine fan favourite. Over the years, St James’ Park has been no stranger to these sorts of figures. They have arrived at Newcastle in all shapes and sizes: from Faustino Asprilla, the legendary hat-trick grabber, to the frenzied, demonically possessed destruction of Temuri Ketsbaia’s celebration, to Philippe Albert, who produced a chip so delicious he should have been awarded a Michelin Star for it. The Geordies have had more than their fair share. There is one name, though, that seems to have slipped from the memory of the masses, one who is surely deserving of being mentioned in the same breath. In recent years, Newcastle have gained a reputation for their abundance of French players, but Ligue 1 has long been a happy hunting ground for the Toon. 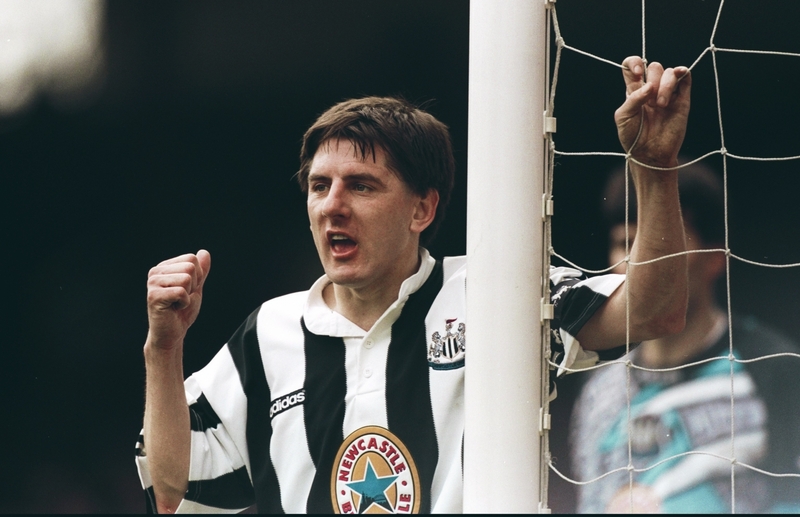 Laurent Robert arrived on Tyneside in 2001 for the princely sum of £9.5m from Paris Saint-Germain. His record at PSG was impressive, averaging a goal every three games after a solid, if unspectacular, start to his career at Montpellier. Although he was a full international by the time he arrived on English shores, Robert didn’t arrive with a huge reputation. So he went about carving one out. Having endeared himself to the fans by opening his goalscoring account in a derby against Middlesbrough the week before, Robert began to give a glimpse of the quality he possessed against Manchester United. In just the fourth minute of the fourth game of his season, the Frenchman hovered over a free-kick, slightly right of centre. One step backwards, three paces forwards and his strike sailed effortlessly into the top corner, leaving Fabien Barthez desperately flailing beneath the flight of the ball. It was a sign of the shape of things to come. Robert firmly established himself as one of the finest set-piece specialists in the league. Given the embarrassment of riches at St James’ Park when it came to taking free-kicks at this time, that was no mean feat. Newcastle could have called on the painterly brush strokes of Nolberto Solano’s right foot to caress the ball past a defensive wall, or picked the runaway freight train run-up of a trademark Alan Shearer thunderbolt to go through one. Yet time and again they looked to Robert to do the damage from the dead ball. And with good reason. The sheer variety of free-kicks he scored is remarkable. Regardless of angle or distance, he would be able to pull something from his bag of tricks. A simple adjustment in his stance or technique could conjure something breathtaking. Whether it was drifting the ball around the wall into the bottom corner, gently lifting it over a hopeless line of defenders into an empty expanse of net, or striking the ball with enough venom to make you think it might burst, the Frenchman had it all in his locker. At times it seemed as if he was trying to outdo himself; taking on shots from ever more absurd angles in an attempt to bamboozle goalkeepers. Away from the free-kicks, the winger displayed an alarming proficiency at scoring goals of all types. There were composed one on one finishes, far post tap-ins and rifled half-volleys – Robert had more range than a Dulux colour chart. He possessed a left foot that was simultaneously wand and warhammer; one that would be equally adept at peeling the skin off a tangerine or obliterating it to a pulp. Perhaps the goal that best summarises the sort of magic a player like Laurent Robert can bring to football is the one he scored against Fulham in 2004. Solano had been played in down the right-hand side of the box and lifted a ball into the six-yard box that took both the goalkeeper and half of the defence out of the equation. Robert made his run a touch too early so by the time the ball had floated to him, he was slightly ahead of it. What he did next can only really be described as a corkscrew, outside-of-the-left-foot scorpion kick. It was a frankly ludicrous attempt to play the ball, springing from his standing foot and contorting in the air like a cobra striking at his prey. Yet somehow he pulled it off, making perfect contact with a ball that looped slowly across the line. It was a thoroughly idiosyncratic goal. Players of his talent and disposition are often labelled as mercurial – and an accusation levelled at these sorts of players is that they don’t turn up for the big games. The same can certainly not be said in this case. Any brief glimpse at a highlight reel of his goals will reveal that the winger was never one to shy away from the big occasion. 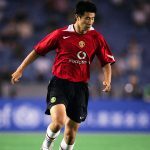 Goals against Liverpool, United and Tottenham, and a load against Arsenal, show that he didn’t simply turn up for the big matches, but thrived on them. However, this would be an unfair account of Robert’s time in England if it focused solely on his sublime moments. There are two incidences in particular that highlight his facility for the ridiculous. Olivier Bernard drags the ball back on the halfway line and is fouled by a Leicester player while his fellow Frenchman watches on. The ball rolls free and, in a moment of extreme petulance, Robert wildly thrashes the ball towards his opponent. Only, it’s not a man in a blue shirt that he hits. His strike arrows directly into the face of his unsuspecting teammate who staggers around like a punch-drunk boxer trying to maintain his balance before collapsing with all the grace of a Jenga tower. It is a moment that manages to be both farcical and representative of the unrestrained excess of Robert’s temperament. The second came in the winger’s final match in the black and white shirt. The relationship between club and player had been growing sour for some time and it seemed apparent to everyone that a conscious uncoupling was on the horizon. It was clear that Graeme Souness, unlike Sir Bobby Robson, could no longer tolerate Robert’s selfish attitude and lack of work ethic. Or rather, he no longer felt that the occasional glimpses of genius could negate the inconsistency of his form. As the final whistle blew against Chelsea, Robert trotted over to the Gallowgate end to savour one last moment with the fans. And then he started taking his kit off. Shirt, shorts, shinpads – the lot. It was all thrown to the fans in a moment of symbolic metamorphosis; a shedding of his Newcastle skin. All that was left was Laurent Robert, laid bare, walking around the pitch in his underwear with his arm held aloft. Of course, for every rasping free-kick that rippled the back of the net, there was one that was ballooned into the stand; for every moment of brilliance, there were countless more moments of laziness. But perhaps this is why players like Robert are so fundamentally enchanting: we know that they are capable of feats of staggering talent, even if they can’t always produce them. The loose cannon leaves open the possibility that things could go wildly off-script if they can just pull themselves together when the opportunity arises. The deep frustration that they cause can be overlooked if they remind us what they are capable of, even if it is just for a moment. What underlines Robert’s cult hero status at Newcastle is that he had an entirely unremarkable career everywhere he went afterwards. Spells at Portsmouth, Benfica and Levante ended in acrimonious circumstances as he failed to replicate his sparkling best form and his temperament caused friction with managers wherever he seemed to end up. Except with Sir Bobby. For whatever reason, something just clicked for Laurent Robert in the north-east. 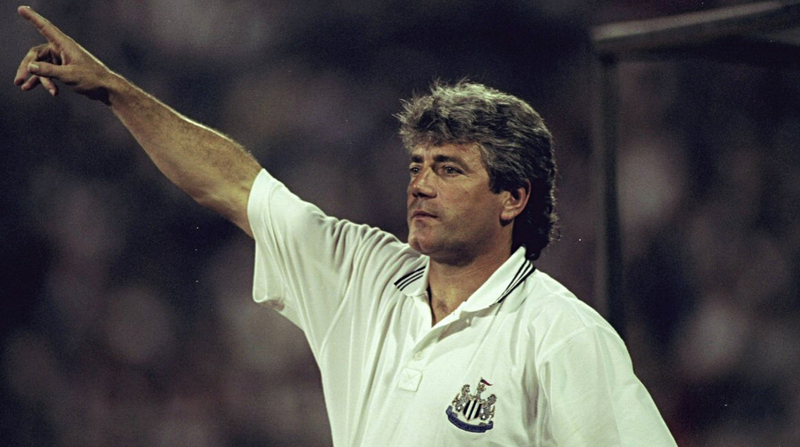 Sir Bobby Robson was somehow able to coax the best out of him. It was a passionate and tumultuous affair, but it produced moments of enduring wonder.